NEW YORK — Villanova has won as many NCAA championships in the last six years as Kentucky, Duke, North Carolina, Louisville, and UConn. During that span, the Wildcats have also won five straight November tournaments, four straight Big East regular-season titles and two Big East Tournament championships. But perhaps because they haven’t had a single one-and-done player during that span, Villanova is never perceived to be on the same level as the aforementioned blue bloods. After losing to No. 4 Villanova 88-72 on Tuesday night in the Jimmy V Classic fueled by Mikal Bridges’ 28 points and 6 rebounds, Gonzaga coach Mark Few said they should be. “There’s no question, no question, yes,” Few said. “I think it’s just kind of the way the hierarchy’s been built, it’s almost propaganda in nature and not real. 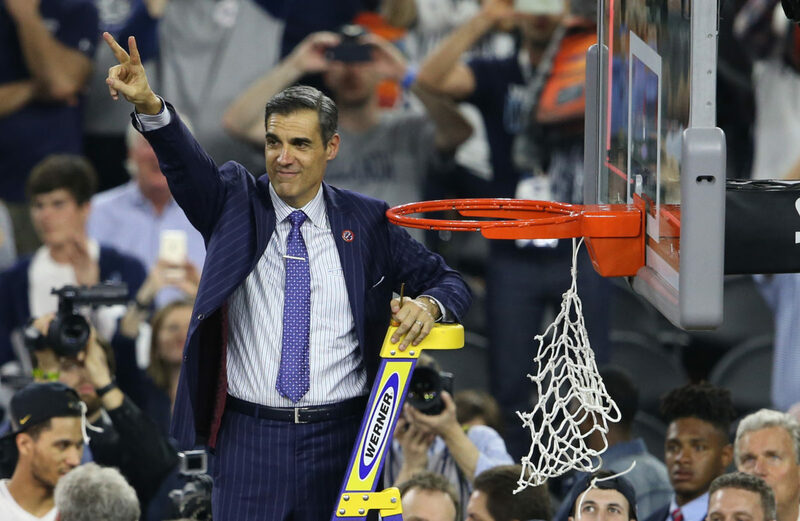 Instead of serving as a place for players to spend a season before jumping ship to the NBA, Villanova, and head coach Jay Wright build a culture that preaches patience. On their current roster, the Wildcats have six players who opted for a redshirt season, three of whom played a big part Tuesday. Omari Spellman (10 points, 10 rebounds) sat out his freshman season for academic purposes. Phil Booth (20 points) took a year off for a medical redshirt after injuring his left knee. And Bridges, Villanova’s best player, took a permanent seat on the bench when he arrived on campus to learn and grow. All three of these players, along with the likes of Donte DiVincenzo, took a year to sit and learn in a college culture while the Kentuckys and Dukes piled up the one-and-dones. With the run that Villanova has produced over the last five seasons, the reasoning behind the Wildcats’ approach is clear. Wright believes his players are smart enough to make the best decision possible for the team, and themselves. Wright isn’t the only who believes this method is positive for the player and the team. Just ask the guys who have experienced it. Booth came into Villanova ranked by ESPN as the No. 92 in the class of 2014. Bridges was just a few spots ahead of him at No. 82. Neither projected as big-time difference makers at the high-major level. Yet here they are, shouldering a program that looks poised for another deep run in March. Along with using redshirt players, the program has continued its run of consistent dominance by passing down the true qualities of leadership. Last season, players like Josh Hart — one of the most decorated college basketball players in recent memory — Kris Jenkins, and Darryl Reynolds were seniors who led by example on the Main Line. Being able to spend more than a season with players of that caliber set up the next wave of leadership for Villanova. For Booth, Bridges, and junior point guard Jalen Brunson, Wright has another group of upperclassmen who could lead Villanova into national championship contention yet again. Villanova doesn’t get the same love as Kentucky and Duke. But maybe it’s time that changed.